The ActiveHybrid X6 is discontinued for 2012, but the X6 xDrive35i was the fuel-economy leader in the range anyway, and it's punchy enough to be fun without draining your wallet at the pump. The 2012 BMW X6 is no longer alone in the coupe-like SUV market, but it remains one of the best options, for its performance, luxury, utility, and style. The 2012 BMW X6 is, without doubt, a bit odd. As time goes on, however, much of the market has realized that it's a good kind of odd. Marrying the looks of a coupe with the size, functionality, and utility of a luxury crossover, the X6 no longer a thing to itself, but it does remain at the top of its class. Above the beltline, you'd be forgiven for thinking the X6 is a sport coupe--and that's just what BMW was going for. Below the middle, however, is where the weirdness begins. 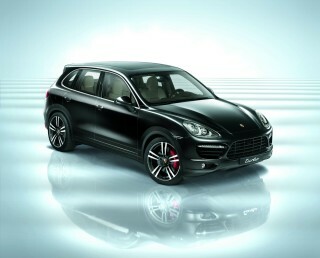 It's all muscular luxury crossover, tall, wide, and clearly somewhat off-roady. It's an odd juxtaposition, and one that some will never cotton to, but for others, it works. Inside, the X6 is roomy and luxurious, as you'd expect from any BMW, with quality materials, leather upholstery, and modern, if understated, European design themes. The sloping roof does curtail rear cargo space somewhat, but it has more room than you might think, and far more than the typical sedan--think of it as a sort of very large hatchback. The roof impinges somewhat on headroom for taller rear-seat passengers, too, but only those above six feet will likely notice. Performance of the X6, whether in 3.0-liter turbocharged in-line six-cylinder, or 4.4-liter turbocharged V-8, or X6 M form, is strong. Fuel efficiency is generally good across the line, for what it is, thanks to the ubiquitous turbocharging. The ActiveHybrid X6 is discontinued for 2012. 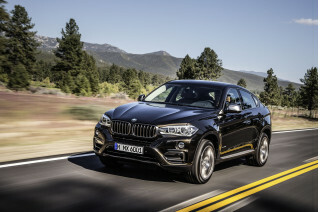 The 3.0-liter X6 xDrive35i is rated at an even 300 horsepower, while the 4.4-liter V-8 X6 xDrive50i scores an even 400 hp. The X6 M gets an up-rated 4.4-liter twin-turbo V-8 good for a massive 555 horsepower. All X6 models come with standard all-wheel drive. Neither the NHTSA nor the IIHS have crash-tested the 2012 BMW X6, though the structurally similar X5 scores top marks of "good" according to the IIHS. Safety features include driver and passenger dual-stage front airbags, front side airbags, head protection system (HPS), adaptive brake lights, active head restraints in the front seats, battery disconnect in the event of an accident, anti-theft alarm, and BMW Assist with Bluetooth. Features, options, and equipment are abundant: standard 10-way power-adjustable driver's and front passenger's seats, wood trim, a wide range of interior colors and materials choices, a 10-speaker sound system, iPod/USB connectivity, and all the power accessories and adaptive/automatic features you'd expect in a modern luxury SUV. The 2012 BMW X6's design is controversial, but for those that come to like it, it can pay dividends. BMW's X6, reviled by some and inexplicable to many, is an oddball--an outcast. But for those that come to know it, it's also oddly attractive. 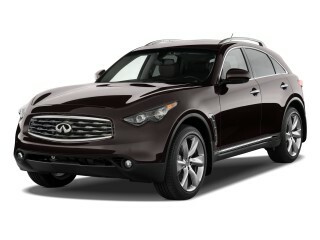 Above the beltline, the 2012 X6 is athletic, with a coupe-like profile mixed with hints of hatchback or fastback sedan. 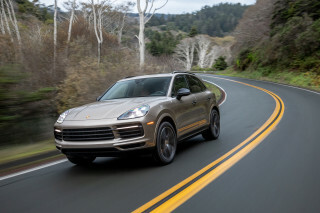 Below the beltline, it's the opposite: high-riding SUV cues dominate. For some, the combination is too illogical, too visually incongruent. For others, it's an acquired taste that improves with time and familiarity. For everyone, it's striking--particularly in high-performance X6 M guise. Inside, the X6's design is much more conventional, with elegantly contoured surfaces outfitted in tasteful color schemes, and rich materials. The layout itself is perhaps more sedan-like than you might expect for an SUV-like vehicle, particularly the high-mounted center console. The 2012 BMW X6 offers car-like ride and handling with brisk acceleration; in X6 M guise it's well into sports car territory, but in all forms it's undeniably still a large, heavy SUV. Three core versions of the 2012 BMW X6 offer a powertrain combination to suit most tastes--even if the exterior doesn't. Last year's ActiveHybrid X6 is no longer available. Starting at the least-powerful, the X6 xDrive35i uses a turbocharged inline six-cylinder engine to pump out 300 horsepower and 23 mpg average. All-wheel drive is standard in all X6s, as is an eight-speed transmission--except for the X6 M.
Moving up to the V-8 range, the x6 xDrive50i generates 400 horsepower from a 4.4-liter twin-turbo V-8. Despite the larger power output, the xDrive50i only suffers a 3 mpg combined gas mileage penalty compared to the xDrive35i. The wild and insanely fast X6 M uses the same displacement as the xDrive50i, but extracts a massive 555 horsepower from a more highly-tuned, upgraded engine. 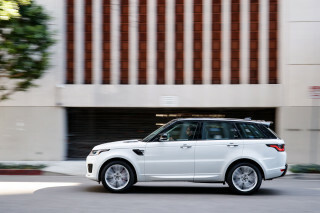 Due to the huge power output, the X6 M uses a more robust six-speed automatic transmission. All X6s handle well, their somewhat carlike looks betraying their equally car-like on-road handling. Body roll is present, though much less so in the X6 M, and the eight-speed transmission in non-M models delivers smooth, quick shifts in either automatic or paddle-shifted manual modes. Acceleration is brisk, steering is direct and natural though sometimes vague in feel, and ride quality doesn't suffer to deliver these qualities--except in the X6 M. The X6 M is more capable than you'd believe possible in an SUV; enabling M Dynamic Mode takes the electronic safeguards to new performance heights while still throwing out a safety line when needed. Off-road, the non-M X6s are also surprisingly able to traverse moderate terrain, but the expeditions should be left to more focused off-roaders. 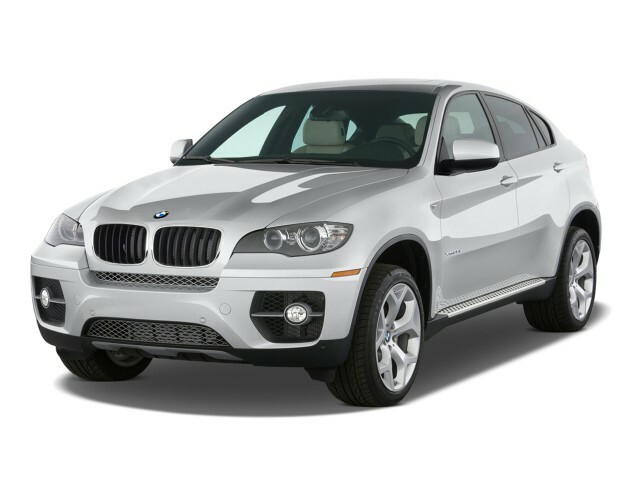 The 2012 BMW X6 isn't as roomy as a full-size SUV, but it's well-built and the sedan-like environment will appeal to many. The 2012 BMW X6 lacks for no comfort and few luxuries in the front seats, but the rear seats are a bit short on headroom. Whichever row you're in, the X6 offers top-notch fit, finish, and construction, with minimal wind and road noise. The seats themselves also catch a nice balance between support and softness, with the front seats well-bolstered, but not hard to enter or exit. Cargo area is good, but compromised by the sloped roof. 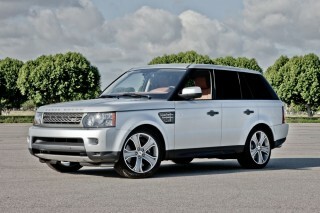 Still, compared to a sedan, it's quite roomy; compared to an SUV, it leaves something to be desired. Compared to a wagon or hatchback, it's right on the mark, with about 59.6 cubic feet of available cargo space with the second-row seats folded down. The X6 continues to blend genres, but does so in mostly successful ways. The 2012 BMW X6 hasn't been subjected to crash testing, but it comes with a strong complement of safety features and has BMW's engineering to back it up. Due to its luxury pricing and rather exclusive nature, the 2012 BMW X6 hasn't been crash tested by either the NHTSA (National Highway Traffic Safety Administration) or the IIHS (Insurance Institute for Highway Safety). 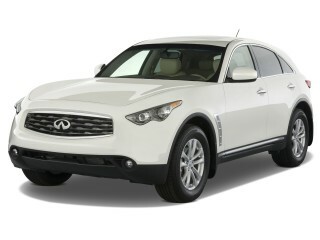 The X6 is, however, based on the same core structure as the X5, which scores top marks of "good" in tests by the IIHS. While it can't be assured that the X6 would score equally well due to its slightly different shape, it's a strong indicator of the X6's crash-worthy design. Standard safety equipment on the X6 includes front, side, and side-curtain airbags; stability and traction control (with M Dynamic Mode enhancements on the X6 M); hill-descent control; and anti-lock brakes. Optional safety upgrades include a backup camera, adaptive cruise control, and lane-departure warning system. The 2012 BMW X6 offers a host of standard features, and even more in the way of upgrades--but beware the quickly ballooning price when ticking all of those boxes. BMW is constantly moving forward with equipment and features, and the 2012 X6 is no different, offering a strong base specification that's upgradeable with many of the latest innovations. Every X6 comes standard with 10-way adjustable power seats for driver and front passenger; HD Radio; wood-grain trim; automatic front climate control; push-button start/stop; power liftgate; front and rear parking sensors; a 10-spearker audio system with two subwoofers; dynamic cruise control; and more. Optional extras are numerous, and can quickly add to the bottom line, but include some attractive high-tech features, such as: four-zone automatic climate control; real-time traffic; iDrive-based infotainment and navigation with BMW Apps support; Bluetooth connectivity; iPod and USB connections; a premium hi-fi audio system; six-disc DVD/CD changer; and more. While the iDrive system has been the subject of much criticism in the past, the latest generation is more intuitive and readily accessible--but it's still complex. Though it's not the greenest vehicle around--nor even close--the 2012 BMW X6 does relatively well in its class. The 2012 BMW X6 blurs lines between sedan, hatchback, crossover, and SUV not just in its look, but in its gas mileage. The 2012 X6 xDrive35i rates 16 mpg in the city and 23 mpg on the highway for a combined rating of 19 mpg. The V-8 xDrive50i scores slightly worse, at 14/20 mpg for 16 mpg combined. The X6 M scores the worst, predictably, its 555-horsepower output relegating it to just 12 mpg city and 17 mpg highway for 14 mpg combined.